You want to win more business. It’s a no brainer. But have you changed the way you work, adjusting to make better use of your time and effort to get new business? What if you could win more business without the need to work yourself to the bone? “Work smart, not hard” is an adage that everybody knows from used car salespeople to CEO’s of Fortune 500s and which many self-proclaimed over achievers have amended to “work smart AND hard.” So why is it that so many of us know this and more importantly, why do we have such a hard time implementing this? I’d like to think the reason why we all know this saying is because it seems right instinctively. But why do we struggle to implement it, and need to be reminded all the time? That’s because no one ever seems to tell you how to “work smart” in the first place. You have to figure it out on your own through experimentation and learn from mistakes. Well, who’s got time for that? 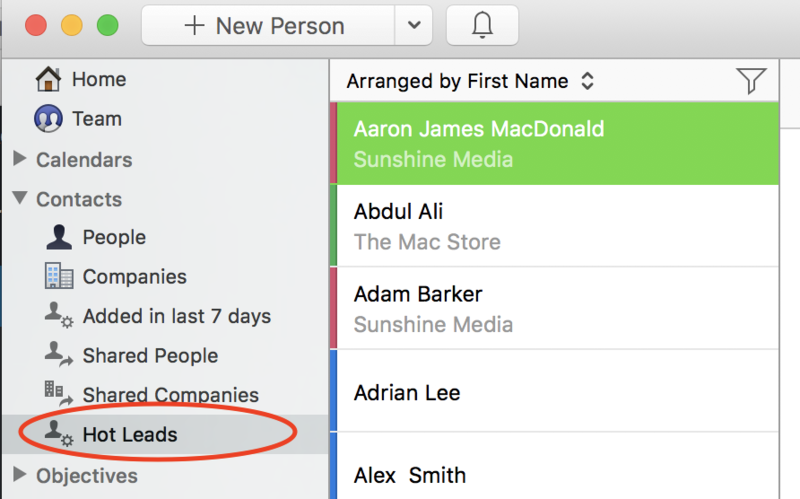 I’m going to give you a bit of a shortcut to working smarter by showing how you can create Smart Lists in Daylite that focus on leads more likely to convert. This helps you spend more time on winning new business and less time battling dead ends. For some customers, using an Opportunity for every lead is not ideal, and instead, leads start as contacts until it’s time to send a quote or offer. Since Daylite separates People and Companies into two lists, you may want to create two Smart Lists, one for each. Keywords help you create segments in Daylite by tagging things in Daylite with qualities about that item. There is no limit for how many Keywords you can add so you can use them for anything you want. In this case, we’ll be using the Keyword to signify the likelihood of a sale. Tip: You can also use Categories instead of Keywords, but as you can only have one Category, Keywords give you more flexibility. Smart Lists helps you focus by filtering the things in your database based on a set of rules you saved ahead of time. Smart Lists update automatically when you view them. The Smart List we are making will search for either People or Companies that have the Keyword you created to show the likelihood of a sale. On the Sidebar choose People, or Companies, whichever you do business within Daylite. Go to the filter icon at the top of the contact list. People give you clues about their likelihood of going from lead to customer. Their location, excitement about your services, their budget, frustration with your competitors, their own timeline, and priorities. These are all signs that you can use to predict if they are a good fit for your business. 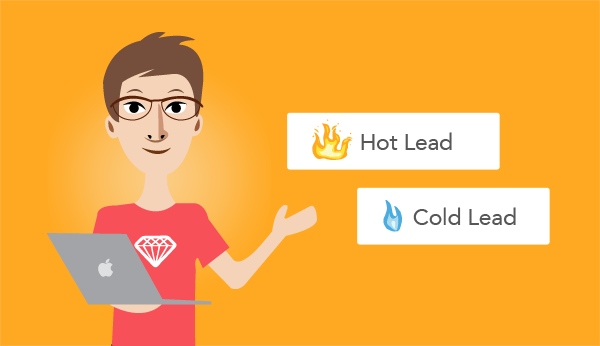 When you add these leads into Daylite, make sure to add a Keyword to the Person, or Company, (whichever you consider the lead) which shows this likelihood. As you keep in touch, update a lead’s details including the Keyword that indicates their interest. You’ve finished some work and now have more bandwidth to take on more work, or perhaps it’s the slow season, and you need to find every job you can find. How do you prioritize which leads you to reach out to? If you’re working smart, you start with those who are already interested in doing business – you go to your Hot Leads Smart List. By updating to a workflow that uses Keywords to measure how likely leads will become customers, you can create Smart Lists that help you filter out those less inclined to convert. Instead of spending time going through your all your leads, hoping to find new business, you can focus on those who you know have a high probability of a win, saving you time and helping you win more business.